This build has been updated: Transmogrify. Keep in mind, in year 2014 I was an inexperience new builder with computer hardware. Overtime I did learn better. Regardless, it was my first build too. This mini tower was built for my grandma's 80th birthday. The purpose of her build is to surf the web, emails, play some simple games, listen to country music, playing movies, and office like documents, spreadsheets and powerpoint. 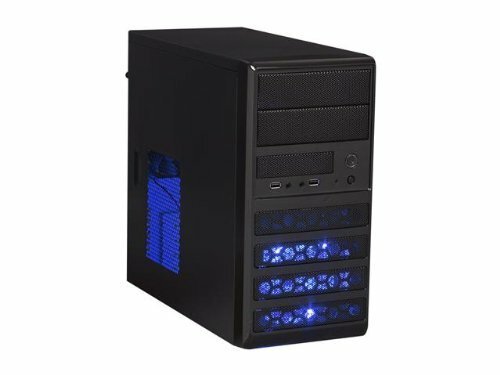 The build alone is $674.98. Yes, quite a lot but it's a speedy PC and grandma loves seeing it load everything fast. NOTICE: This build started all over from the ground up since she had given away her old desktop which had Windows XP. I wanted to build her a decent computer and spoil her since she never bought an expensive PC. I BOUGHT THESE PARTS NEAR THE END OF JUNE, 2014. However, I really started the build at the end of July but in August I had to replace 1 SATA cable for the SSD to make it flat. Since the Right Angle was too tight and touched the Hard Drive. Then I had the RAM replaced since my MOBO wouldn't duel channel the Corsair XMS 2x (2GB) RAMs. I did some sleeving with the parts except the PSU connectors, SATA cables and the 2 USBs (one is the audio). I truly apologize for my lousy cable management. 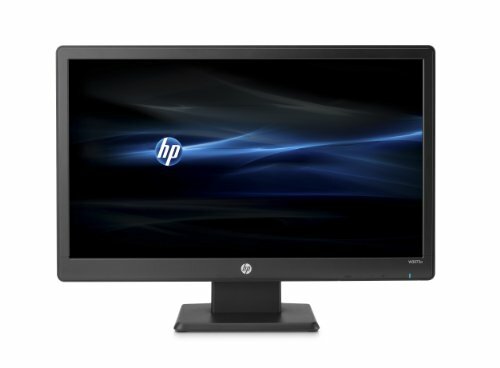 It's my first desktop to every build so I did the best I could do at the time but I had researched and read a guide to generally understand some steps of building. Yes I do know it's not the "best" build either, comparing it to the more Experienced PC builders out here. It's a great CPU and temperatures are steady between 35-42 ° C, since my grandma's room temperature is 80 ° F. I know Hyper Threading wasn't a need but I heard it can give a little performance boost if using excel for example. If do not need Hyper Threading, than buy a Pentium for daily tasks + games or a Celeron for basic tasks. So far it is OK and does on what it is required. 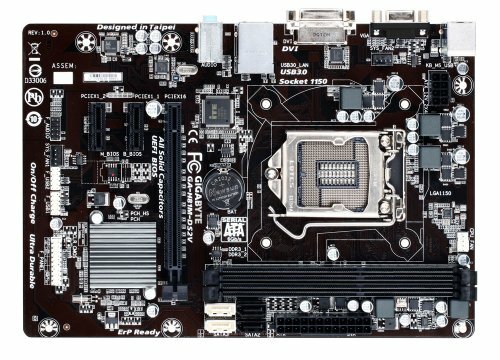 I did not expect a lot from this Motherboard but I had a difficult time on solving a problem, in the last week of July, 2014. (Summer Job and life kept me busy). I had no idea what the POST issue was, it had repeated a short-continuous beep. I did the bare minimum to POST again and tried 3 PSUs but it did not change the beep. A month later and thanks to Tom, it was because of the DIMM slots. Slot 1 didn't work but slot 2 did so it passed POST. This RAM IS SO BEAUTIFUL! Great RAM and no need to go into BIOS to overclock. It is automatically set as 1600MHz when paired with Intel's i3 processors, 4th generation. 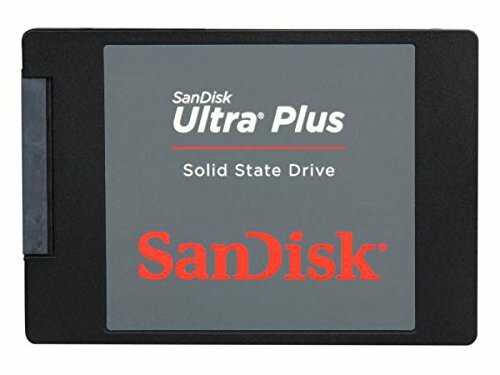 Sandisk Ultra Plus 256GB 2.5"
Amazing! Absolutely, blazing speeds! Loading up Windows 8.1 is about 10 seconds. Love this SSD, it's fast and easy to boot. One does have to time it well to get into the BIOS. You have about 1.5 seconds to press DELETE in time or have to repeat yourself. I am impressed and never going back to a Hard Drive to hold the OS. No moving parts in a disk makes it silent. It works and it acts as a system restore, additional space for games, music, and pictures. It does make some sound when accessed but it's not too loud either. Used to be a GT 610 but its been removed. This card runs cooler unlike the 610. I don't see anything off or odd. Technically the Intel HD 4400 is somewhat outperformed by a GT 730. Of course the MOBO has the correct outputs, but having a dedicated GPU for the games can be more snappy in 900p and eases the CPU. Realistically this is not required since 720p is good enough for an iGPU too. It was a matter of preference. She is a casual gamer, but she also let's me poke her computer from time to time or watch me game between gaming together. For a gaming oriented in a tight budget, I would recommend one of these GPUs. For Nvidia: the GTX 1050, or the GTX 1050 Ti. For Radeon: the RX 560. I could say a ton of things about this case but I will summarize it as best as I can. First, this is not a hard case to dissemble but I had to pound some metal down. It has enough room for a MicroATX board but keep in mind it will be a tight squeeze when adding parts in so it's a good idea to plan ahead when installing parts. 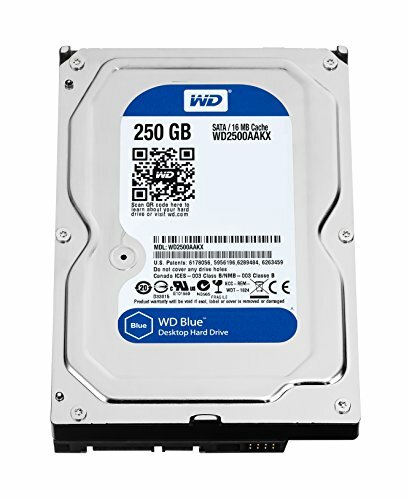 You will have to gently pull, tuck and zip tie down some excess wires or you might have to remove parts from the Drive Bays if something does not work. Be very careful when pulling the expansion slots, it is very sharp which easily cuts the finger! This Full Modular is NOT the most easiest PSU to work with. I know I am being harsh but I recommend a different Full Modular. 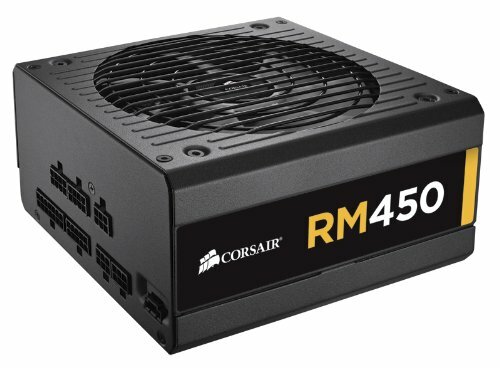 I am not that impressed with the Corsair RM but I will give it credit for being nice-looking and that it does the job. You will have to be somewhat forceful with the wires because its tough as nails to bend, without trying to damage it. I did not enjoy hooking the ATX 24-pin and ATX 8-pin because it's extremely difficult and tight to properly connect and disconnect, major reasons why I docked it down. Using this in this kind of mini tower case makes it a little too big and difficult to install but I blame myself for that. This is not why I rated it down, human error on my part but I was most disappointed about the RM being an inch too short to hook up the Optical Drive to the SSD with the PSU SATA. 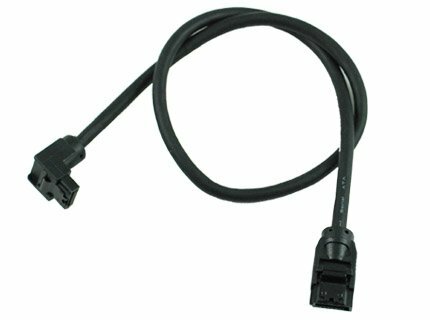 I wanted to avoid connecting two PSU SATAs. I couldn't leave my Optical Drive at the top of the case so had to install it in the 2nd 5.25 Bay. That's why I didn't rush into buying the OKGear SATA cables since remeasured before ordering them. However, if you plan to have no internal media card reader, you should be fine. I'm happy tucking the ATX cords to the side but keeping them flat makes it work. I would recommend a Semi Modular or a No-Modular to save more money. 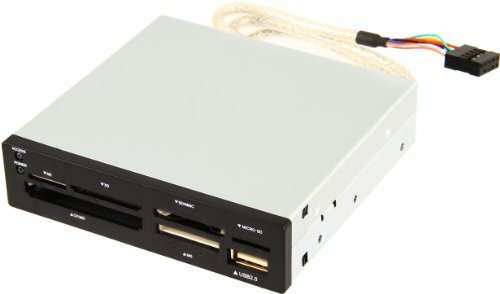 Use this PSU for a Mid/Full Tower. Or a case that allows better spacing when in between internal cages. It works! Too bad I had to install this last because the Corsair RM is more bulky which the wires are closer to the Bays and accidently managed to yank a pin out. Sound wise, it is there when in use and it does not bother my grandma. I'm using 8.1's 64-bit and it is great so far. I was shock on how much easier it was comparing to the 1st version of 8. Makes Windows 8 remind me of the Vista days... Yes sorry, I am bias but honestly everyone has preferences, right? 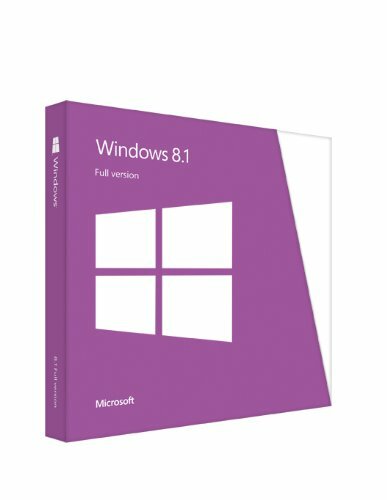 I love Windows 7 do not get me wrong but seeing 8.1 vs 8, it works a heck whole lot better but I do thank the SSD for the speedy performance. I customized her shortcuts and tiles in to keep it simple but I also taught her on how to use 8.1. She is pleased and to her it feels easier to navigate. It works and it's what "she" needed. It's not to difficult to control. I have the DVI-D connected to the video card. She is happy with it and the built-in speakers work with the audio cable connected. It is a nice little wireless, easy to Install and works right away. My grandma is far away from the Router/WiFi, 5 walls + a floor level down. It is a shocker she gets any connection at all. I did not install the TP-Links drivers, due to reading enough reviews which mentions about TP-Link having complications with the WiFi setup for some reason. Great deal! 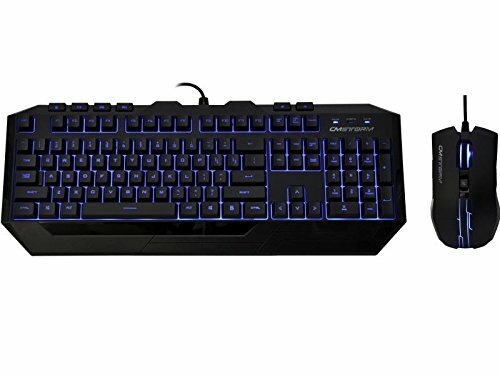 We like the keyboard and mouse. Two things to be aware of, the mouse light never turns off and the keyboard is good but you have to turn the LED on to see the keys better. If you memorized the standard keyboard, don't worry. This works good and plenty of screws but be gentle with the screws because they can be fragile when you twist them in securely. You may be better off using your Hard Drive screws that come with your case these days; however, the main point is this makes installing SSDs & 2.5" HDDs a lot easier. You can install two 2.5" of storage. It works OK since I have fixed it because the pins were misplaced when I sleeved it. Difficult to reconnect when pins are properly in. Now that it works, the BLUE LED stays ON even when the PC is OFF. Unless you switch the power OFF from the PSU or have a power out in the house. Downfall: It is slow to load Pictures with an SD Micro Card! I'm not too impressed by the 30 second delay or more but as the saying goes, "You pay for what you get." Zero issues with the 2.0 USB. I would suggest to look for a different media card reader. Though for some it may work out well but with my experience not so much. The 12" is a perfect size for the Optical Drive and the 8" is perfect for the HDD! The Right Angle is hard to pinch the latch when disconnecting the cord but easy to connect. You might or might not hear a click but you will know if its in. Securely stays connected. Very happy to use these SATA Cables, though I also appreciate the spare 2 SATA cords I gained but 19 inches were super long so why I bought these shorten lengths. Perfect size for the Solid State Drive and easier to connect and disconnect but maybe it's too easy. I had to reconnect it once more because it was a little loose which caused a boot fail. Important Note on the SATA cables: Not complaining here since seriously they do work great. Just assume you might be half-an-inch less with the Right Angle Connectors and pre-bend the cables gently, a little before connecting them to your motherboard. The DVI-D connector is working perfectly with the GPU. It's great to have this connected instead of the VGA. Plus the VGA was too tight to connect properly for some reason which made me worried when trying to connect it. 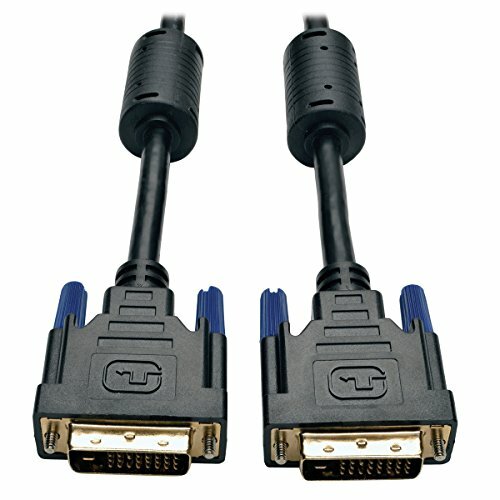 I would recommend this DVI-D cable for anyone who has DVI-D and DVI-I ports. I enjoyed this build because this was my first time building a desktop, an actual PC. And most important, it was my first PC that I can give to my family. I wanted to show how I appreciated my grandmother so giving her a PC that fits her preferences brings my heart with joy. Yes I basically doubled than what she would pay for a pre-built. 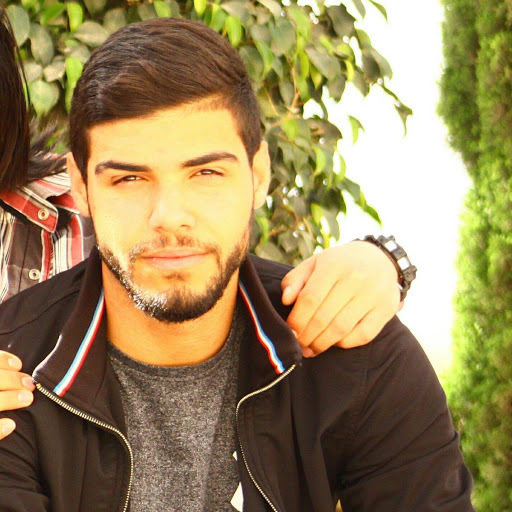 My family is important to me. Happy Birthday Grandma, I love you! Why did you bother purchasing a discrete graphics card? The integrated graphics would have been just fine. EDIT: The integrated graphics are more powerful as well. Thanks for the hyperlink, it'll help me out down the road for building and for future upgrades. Super cool you got to build for your grandma! Right I would agree. I missed a good opportunity when it came to the monitor since it was on sale for 89.99 once, I came back the next day at Office Depot and it wasn't on sale anymore. As for the PSU, I wanted to try a Full Mod, but as I mentioned before in the Description, something else could have worked better. good job! but wy did you use 250gb hard drive when you could have used anther ssd? More importantly, I didn't have much money left over for spending on my grandma's computer. I couldn't afford another $110 at the time so that was another reason. 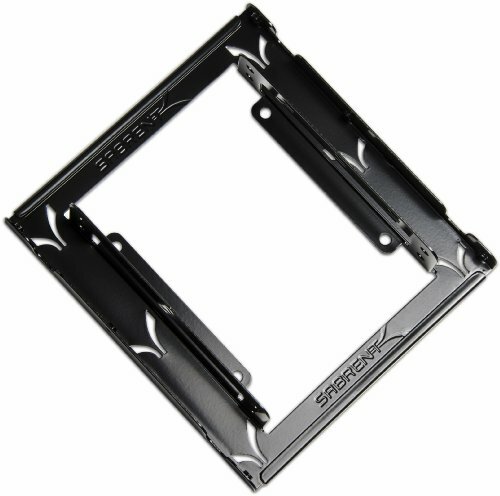 If I could go back and redo it all, had more knowledge at the time and if SSDs were a tad cheaper. I would have actually grabbed two instead of one. The hard drive is doing fine of course, it's serving its purpose. It's not a major purpose but it helps storage the photos and some backup data, music etc. Your grandma plays "simple" games? This thing looks like it could play Arma 2 on low-med settings, lol. Arma 2 is an advanced, realistic military simulator. It simulates realistic bullet drops, travel times, and affects of weather on a bullet's travel. But it isn't all about the bullets. It has a wide selection of vehicles such as jets, Humvees, cars, any military vehicle you can think of that was around 2005-2012+. You should look it up. If you like realism, shooters, and large, friendly communities then you will definitely love this game. But anyway, what I meant in this comment was that this PC's specs surpasses its recommended specs and even falls between the minimum and recommended specs of one of its most CPU/GPU demanding "DLCs". Oh I see. That makes sense now. Yes, I had no idea about it. Sounds an interesting game! I love that you built a pc for your granmother................................ now i feel like a terrible grandson tho. Last year she had asked for my advice for a desktop in a store. The hardest part was to convince her to wait a bit and stalling her to not buy a cheap pre-built desktop like last time. Despite the minor mistakes with this build in the past, I will always treasure the memory of it and knowing that it was given for my grandma which blew her mind later on after she used it more and more was worth it. Aw... do not feel bad. I built the PC for her birthday and enjoyed it. Plus I wanted to give a fast computer, since she went through two laptops in 5 years and she desired a new stationary desktop after she donated her old computer some few years ago. She continues to enjoy it every time she uses her PC. What were the two deleted comments under this one? I just wasn't smart back then. I made mistakes which I knew would happen on my first build but it happens. Lesson learned. Great build and, you're right, I got the Pentium G3258 for my Mini ITX because Excel wasn't going to be used...ever. Thank you very much! Phew, I'm glad to know it is confirmed about Excel gaining a little performance boost with Hyperthreading when one uses it. I know this is long ago. But I still have to say that pink forgot the name thingy does it. I know this is long ago. But I still have to say that pink bow thingy does it. Why, thank you so much. I had to make the PC look like a birthday present. I only had a pink bow at the time. This is what she saw on her desk and she was surprised. YASH. Pink bow FTW. I'm going to gift myself the PC, so gonna toss on a pink bow. Yas yas yas. Hehe. I like on how you think there. Pink bow for the win indeed! Nicely done! I have the cooler master devastator keyboard/mouse combo too, but in red of course, love the look!! Thank you very much. I too had the Red CM Devatator keyboard+mouse combo when I first built my main computer. I appreicate your support and checking my grandma's PC out. Hopefully I will actually update her PC here soon. Since upgrading a couple things will be nice. You must have one cool grandma! Maybe a couple of a things I don't like but it's not enough for me to feel remorse nor disgust on 8.1. So yes, I'm certain not everyone "hates" it. Of course, I shouldn't speak for everyone nor assume how one feels towards an OS. Maybe a general idea but seems there is a mix result at times unless you have others claiming they have tried it to see its pros and cons. So yes, I'm with you there. Indeed, everyone has preferences but looks like I can't join the world. Yet, I wanted to spoil my grandma of course.